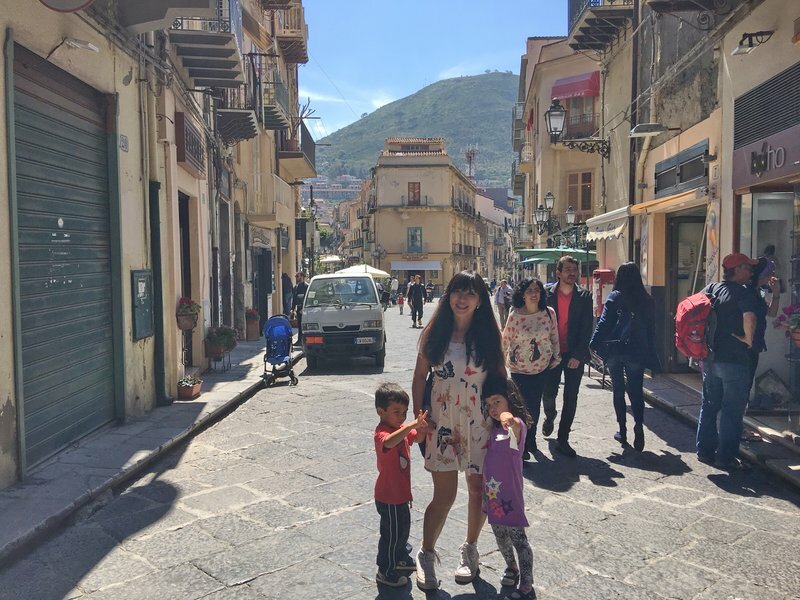 Thanks to the location of the rental agency, we didn't have to drive through central Palermo to get on the road. 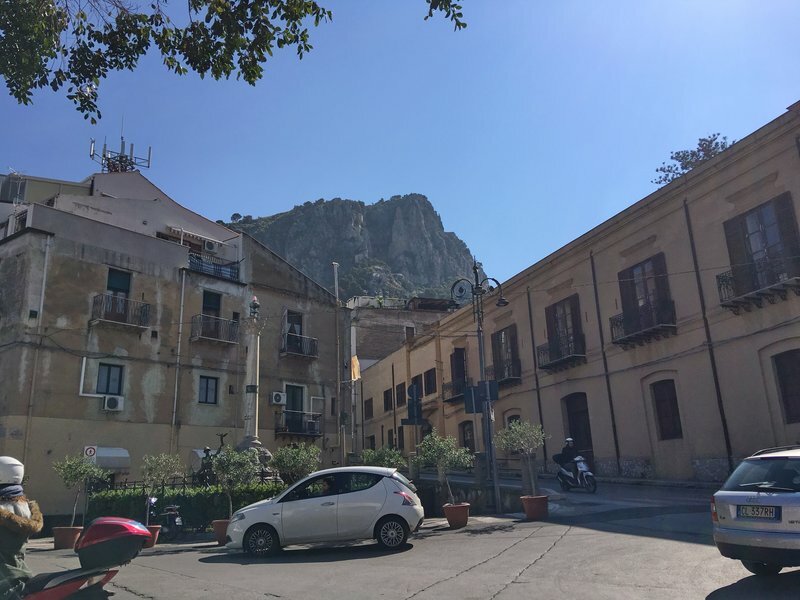 The only difficult moment was at a five-way intersection on the outskirts of Palermo where there were no signs or signals and no apparent rules for right of way. There were just three competing streams of traffic inching forward in a continuous game of chicken where right of way belonged to whichever driver had less concern for the welfare of his vehicle. Once we made it through that ring of fire, we arrived at Caccamo in less than an hour. 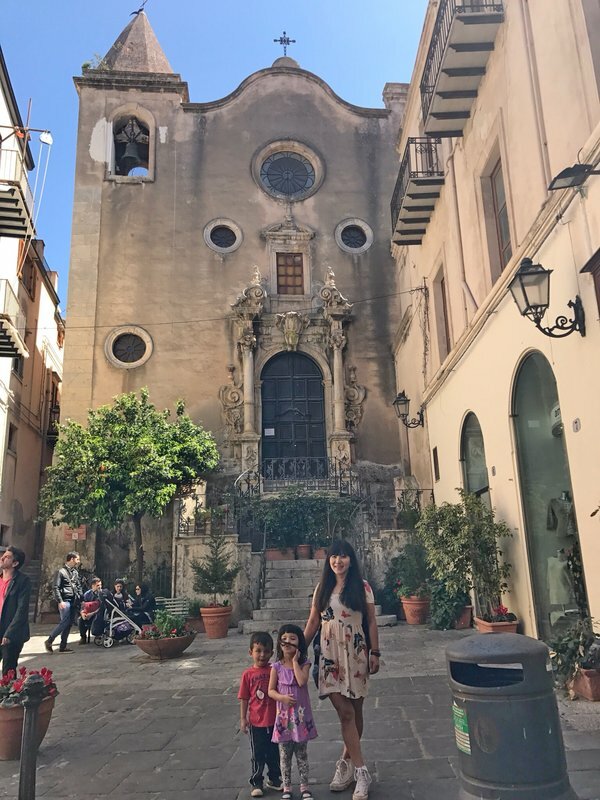 Caccamo probably wouldn't have made it to our itinerary if it wasn't just a short detour from the route to Cefalù, but we had plenty of time and the castle ended up being a good place for our first experience of small-town Sicily. 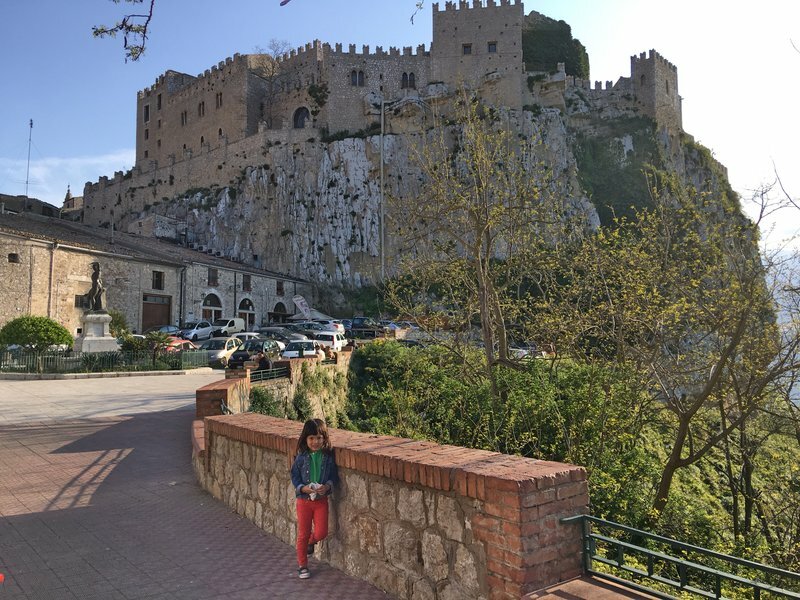 The 11th century Castello di Caccamo looms above the town atop a rocky cliff. After paying our entrance fees, we ascended a shallow, grassy staircase that circumscribed the castle within the ramparts. There were few visitors and the castle had a windy, desolate character. 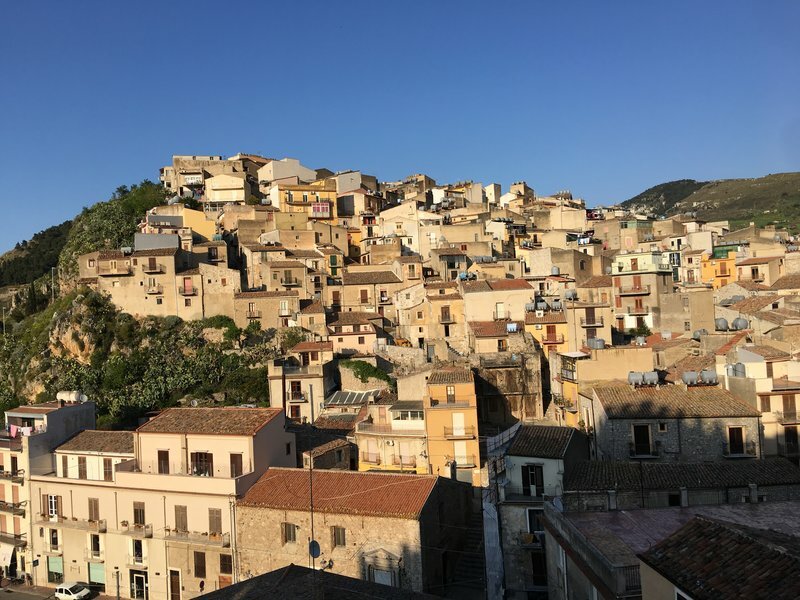 There were views of the classic brown multilevel Sicilian houses spilling down the hillside as well as the surrounding hills extending as far as the Mediterranean. The castle itself had a surprising number of levels accessible by steep staircases and we climbed all the way to the top, although the high ramparts on the upper levels obscured the views. 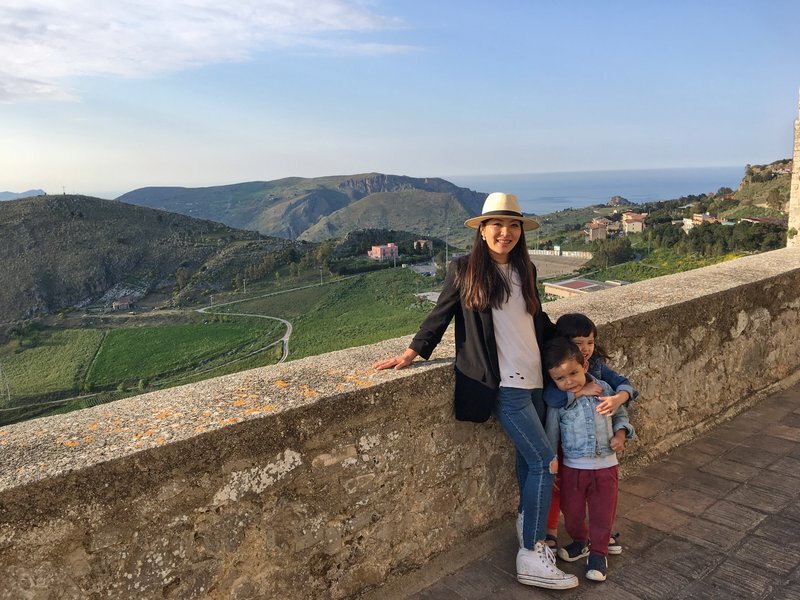 We had ice cream after getting back down and then had an uneventful drive to Cefalù. 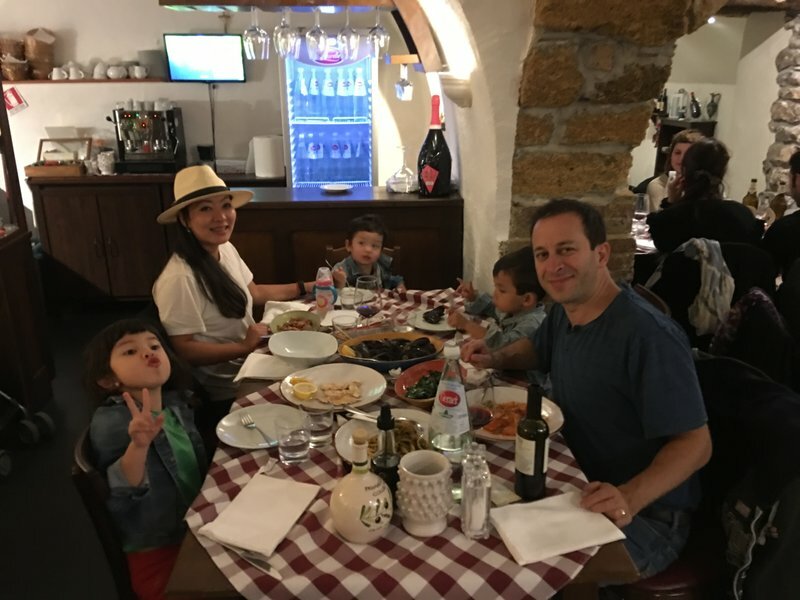 After checking in to our Airbnb we found our way to the charming old town where we had an unremarkable dinner at Le Chat Noir. 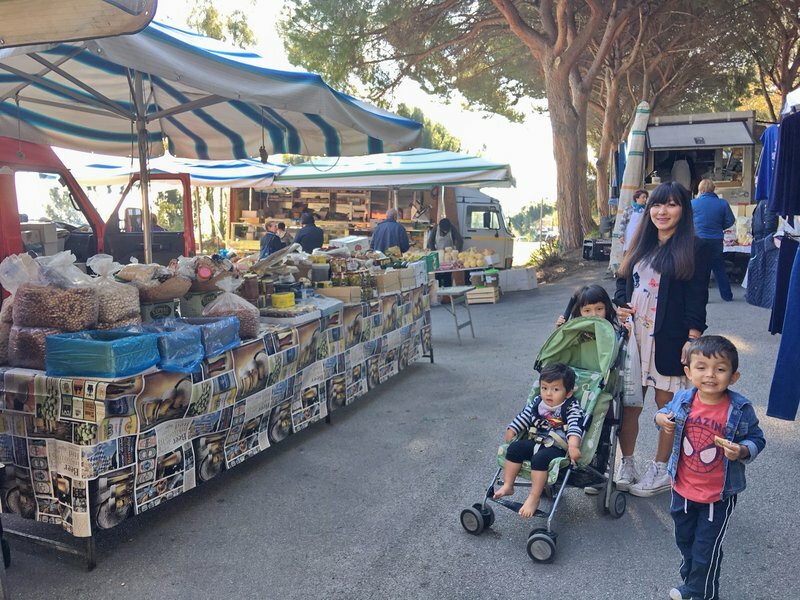 In the morning we packed up the car and drove to the Saturday market near Hotel Al Pescatore, on the opposite side of the promontory from the old town. 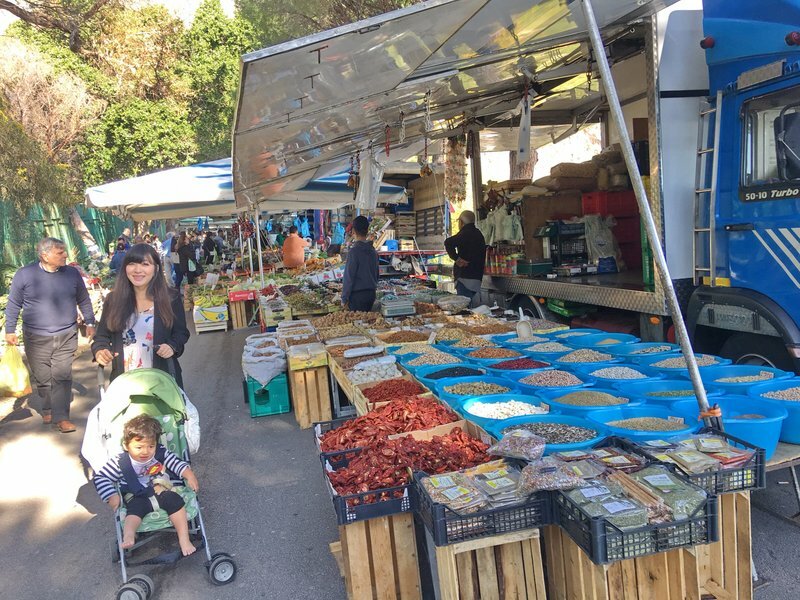 I had designed our itinerary to coincide with as many of these weekly markets as possible. 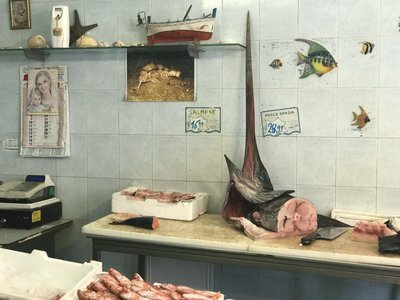 Cefalù's market, while smaller than the markets in Palermo, provided a good selection of produce that had clearly been grown or manufactured by the person who was selling it. We bought cheese, sausage, nuts, and fruit and ate enough while walking around the market that we didn't need to worry about breakfast. 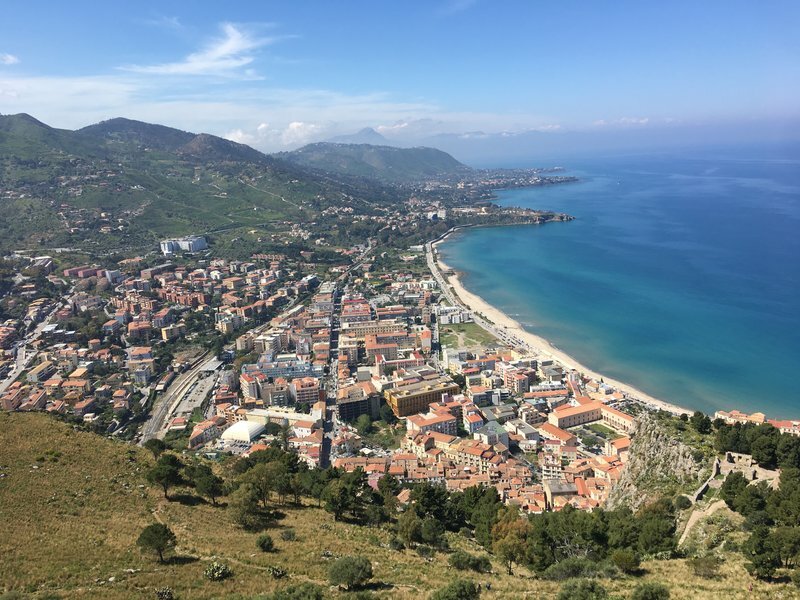 The decision I had been agonizing about in Cefalù was whether to attempt an ascent of the Rocca di Cefalù, the enormous rock outcropping that occupies the center of the promontory on which the town sits. I'd found all kinds of conflicting information online that described the ascent as taking anywhere from forty-five minutes to three hours, and equal inconsistency regarding its difficulty. 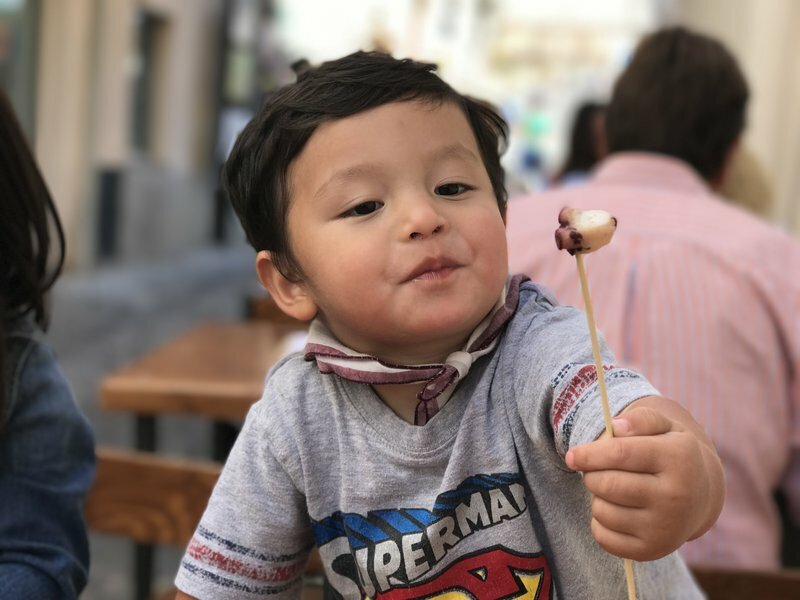 I put off the decision until we were done with the market, and then concluded that as we were all healthy, well-fed, and well-rested that there was no reason not to at least initiate the climb. 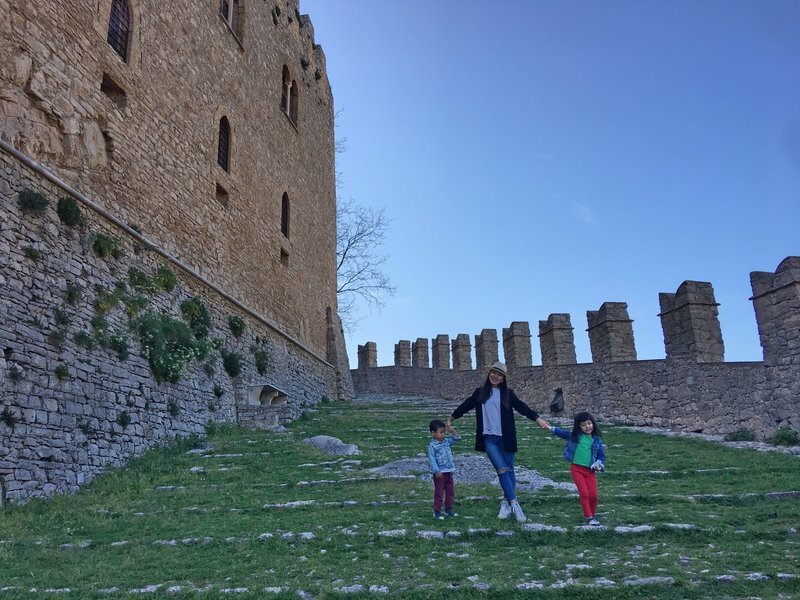 I also reminded myself that we'd completed several challenging physical endeavors with the kids including Rocca Calascio in Abruzzo and Ehrenberg Castle in Austria and these were some of the best memories from our travels. We drove back to the old town, and after some difficulty we found a parking spot some distance from our target. 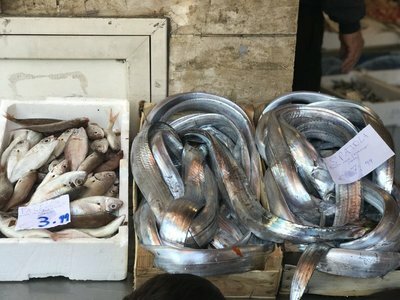 On the way to Salita Saraceni, the road where the ascent begins, we passed a beautiful fish market with boxes of gleaming pesce sciabola, or scabbard fish. The Rocca di Cefalù is visually quite intimidating. I'm still not sure what to call these outcroppings that are ubiquitous on the Sicilian coastline. They're not quite large enough to be called mountains, but their hulking presence above sea level towns makes them too imposing to be called hills. "Rock" probably works as well as anything. As it turned out, we made the right decision to hike up the rock. I backpacked Spenser and we let the older kids climb on their own. The first part of the walk was a staircase, but after about 15 minutes the stairs gave way to a narrow dirt path with rock footholds that was quite steep in some places. About halfway up Cleo began complaining vociferously that she wanted to be carried, although she obviously wasn't in any real distress, so we alternately had to cajole and threaten her to get her the rest of the way up on her own power. The climb took us about an hour in total, but able-bodied folk without children could probably have managed it in about half the time. 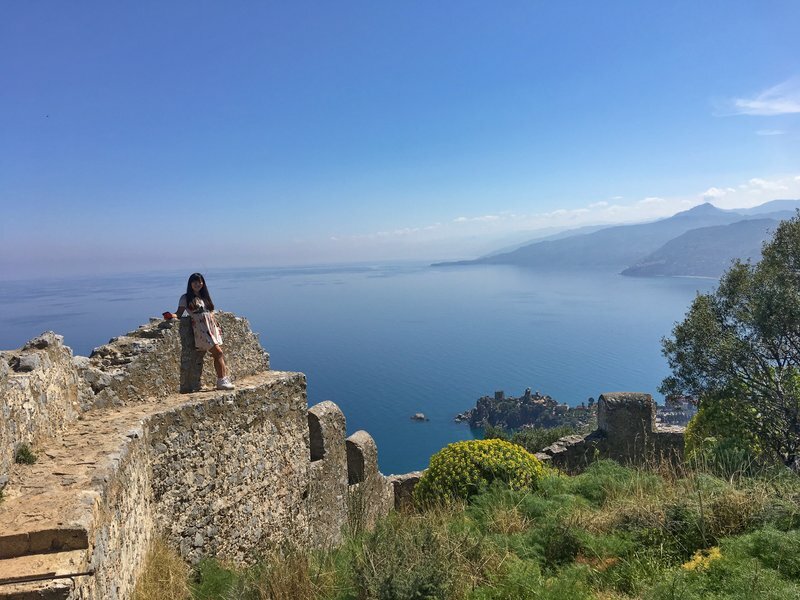 As soon as we reached the top, Cleo immediately forgot her overwhelming fatigue and began scampering around the castle ruins so quickly that I had to struggle to keep up with her. The views of the town and the coastline were spectacular. Going down was actually harder than the ascent, since we had to continuously brace ourselves against slipping on the dirt path in our sandals. At the bottom, we found the old town in full swing at midday. 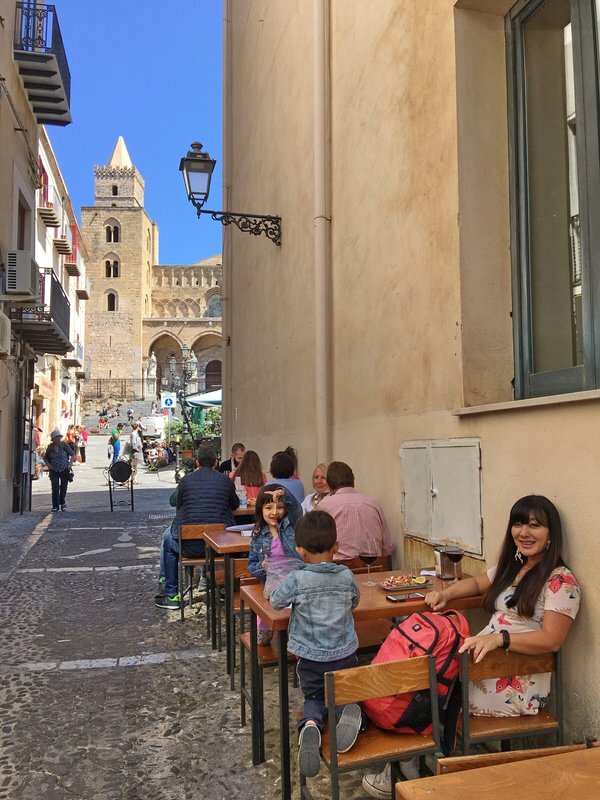 We made our way to the square in front of the Duomo di Cefalù and got the kids pizza at one of the numerous cafes. 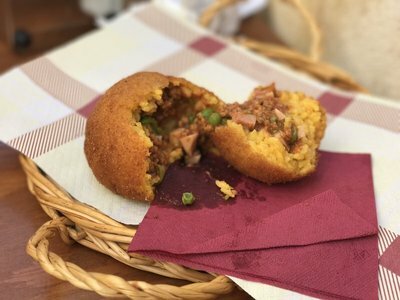 At this point I was eager to get on the road again and we had numerous lunch options on the way inland to Enna. 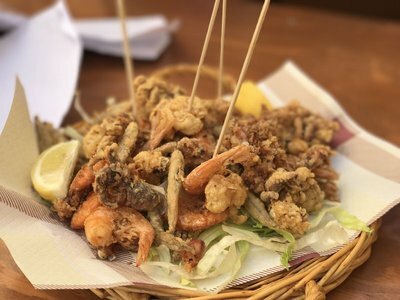 However, just south of the square we passed a tapas restaurant with outdoor tables that seemed too good to ignore. 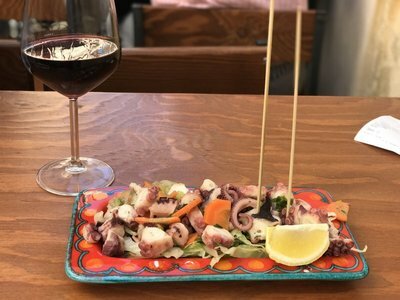 We ordered some octopus, arancini, and Nero d'Avola wine and ate with a view of the cathedral. 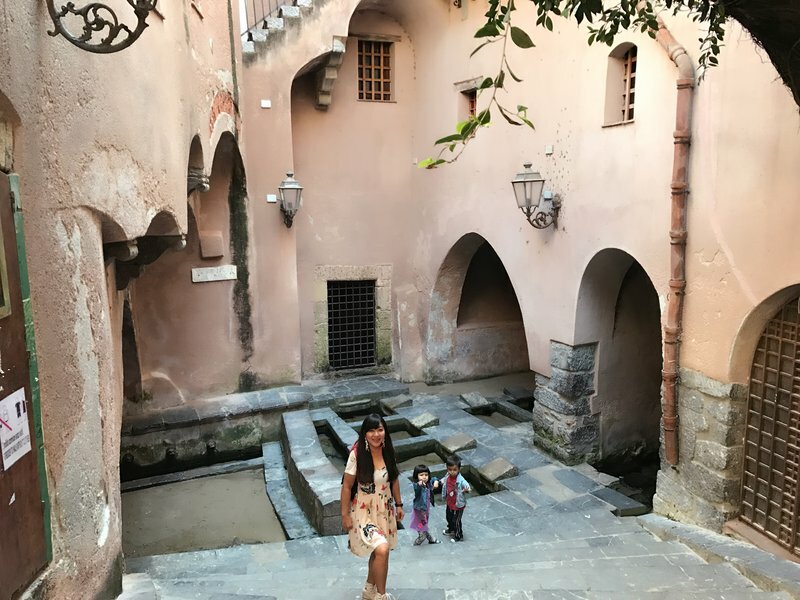 Before leaving town we stopped briefly at Lavatoio Medievale Fiume Cefalino, a perfectly preserved medieval wash-house fed by a subterranean river. We got back to the car and found our way back to the highway. We were getting a late start on the inland portion of our road trip. Enjoyed the vlog ! Am trying to work out an itinerary for 4 late middleaged people for 2 weeks in Sicily. 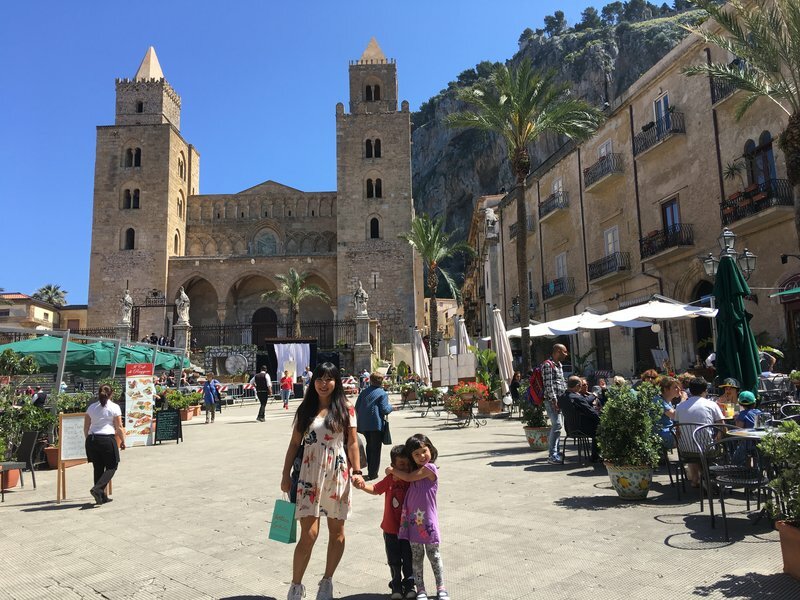 With two weeks in Sicily alone you should have time to see all the major cities and highlights. 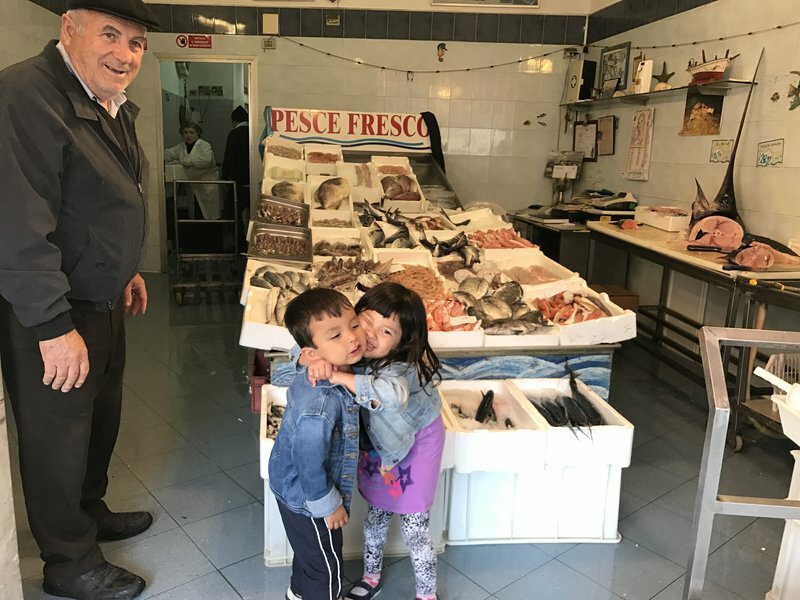 My two week itinerary is here, and that included three days in Malta http://www.travellerspoint.com/member_map.cfm?tripid=988027 . A car is indispensable. How much of the island you see in two weeks really depends on how much you enjoy hanging out in one place and relaxing vs being constantly on the move. 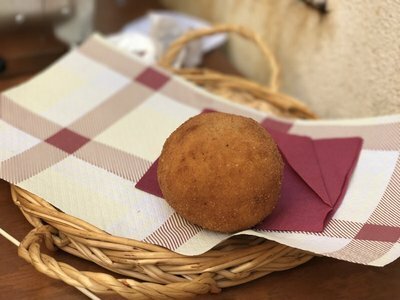 Some people just stay in Taormina for two weeks going to the beach, taking boat trips, and trying all the restaurants. 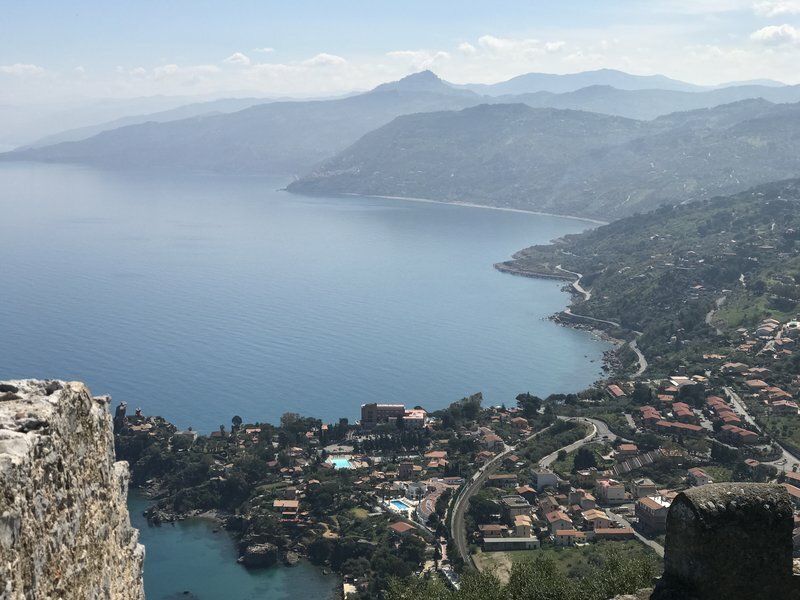 The best spots in Sicily are at distant points of the island, so there's no way to concentrate them. My bucket list would include Palermo, Siracusa, Taormina, Erice, and Noto but there's nothing I'd skip if I did it over except possibly the mosaics at Villa Romana.